Looking for the Best Jewelry Stores in Dayton, Ohio area? A diamond will always be a woman’s best friend, lovely shining pearls, beautiful baubles and glistening gemstones. Go for a reliable and reputable jewelry stores in Dayton, Ohio. 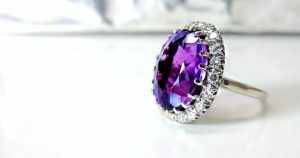 Obviously Elizabeth Diamond Company is our choice in The Dayton area but lets take a look at a few other local jewelers. James Free Jewelers, International Diamond Jewelers, and Kay Jewelers are some of the best jewelry stores in Dayton, Ohio area. They have been selling high-quality jewelry for 77 years, James Free Jewelers have established a reputation with the best collection of jewelry at the most competitive rates. All are guaranteed at James Free Jewelers, from the latest fashion trend, competitive prices, and high-quality customer service to the personalized attention you need is offered. Services from James Free Jewelers include Jewelry Repair, Watch Repair, Financing, Trade up and in, and they also buy your jewelry! They have an on-site repair, with goldsmiths who produce high-quality services using their latest technology of laser machines. With their jewelry repair, they have included ring re-sizing, engraving, and reproduction, jewelry cleaning and polishing, ring shank replacement, stone tightening and stone replacement, prong re-tightening, solder and welding, re-mounting and pearl restringing. They have been crafting and pursuing excellence with their passion for providing their customers the perfect diamond and jewelry at a guaranteed lowest price for 35 years! As they offer jewelry repair, jewelry appraisal and cash for your jewelry, they have a free preferred customer program! A lifetime membership that shows value to their most loyal customers. Their membership offers extra discounts on the purchased jewelry, extra cash when you sell a jewelry, free cleaning and inspection regardless which jewelry shop you bought it, and half price insurance proposals. It has been a century that Kay Jewelers has offered their high-quality services, they do not only offer a fine jewelry at a competitive price but they have been number one of the best jewelers in Dayton, Ohio. Their selection of engagement rings, wedding rings, diamonds, gemstones, metals, and watches are carried from the Leo Diamond, Neil Lane Bridal diamond engagement rings, Tolkowsky diamonds, Le Vian chocolate diamond engagement rings and Artistry diamond rings. Services are not limited to an extended service plan, financing, watch and jewelry repair services, ring resizing, diamond jewelry upgrades and trade-ins, and jewelry cleaning and inspections. Why choose these jewelers near Dayton, Ohio? Simply, because they are the best. They have been in business for years that has given them unparalleled experiences gained trust of their valued customers. These jewelry stores have been using the latest technology with their services. You do not worry about the objective quality report of the diamond and jewelry you will buy for they have a certification from the most respected and unbiased diamond laboratories in the world. An assurance to every customer is absolutely confident in the quality of their jewelry and service. With them, you can learn about the options for jewelry purchases, the material basics and how to make the jewelry last. Make your jewelry beautiful again or, buy another beautiful jewelry from these Jewelry Store in Dayton, Ohio.